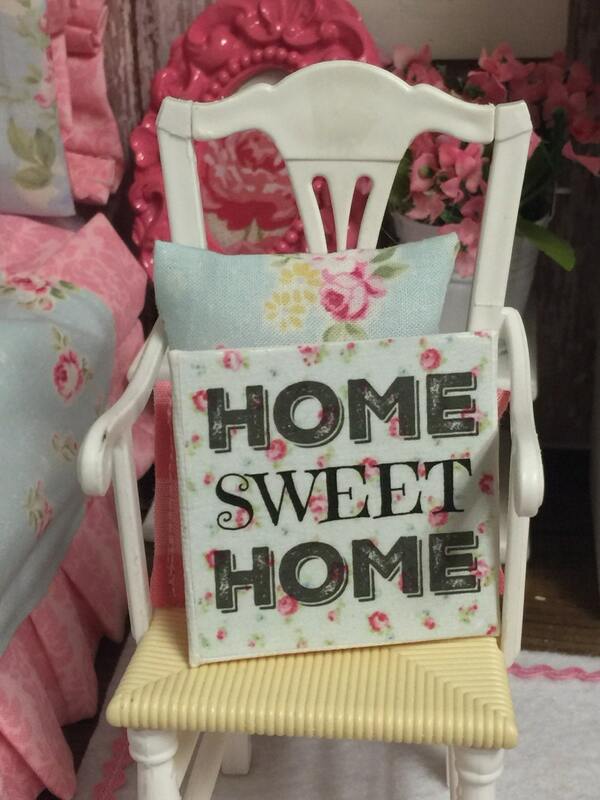 Home Sweet Home Sign has a rustic but feminine look to it. Letters (font) has an old feel to it. The background design has tiny little florals on it. Looks like a meadow filled with wild roses up close. Design is created and made by me and embellished onto canvas 2"x2" sign. 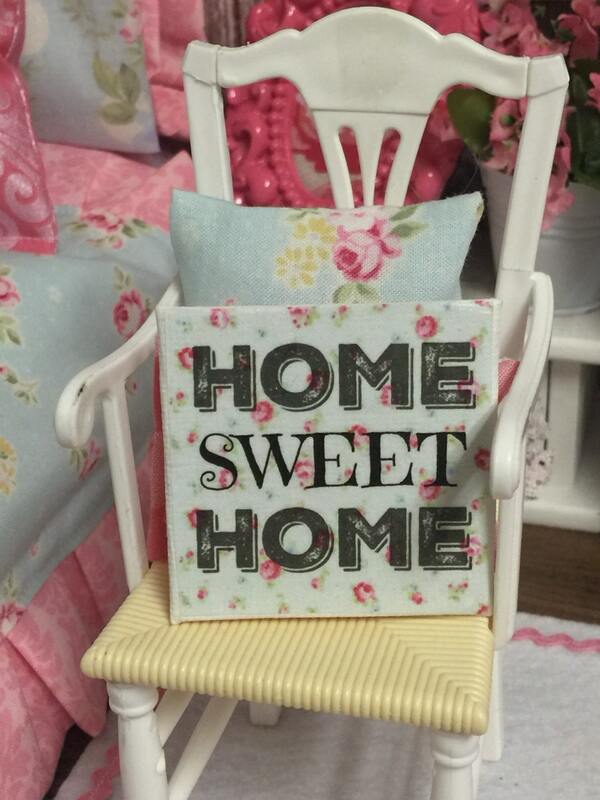 Very cute fits my dollhouse perfectly!